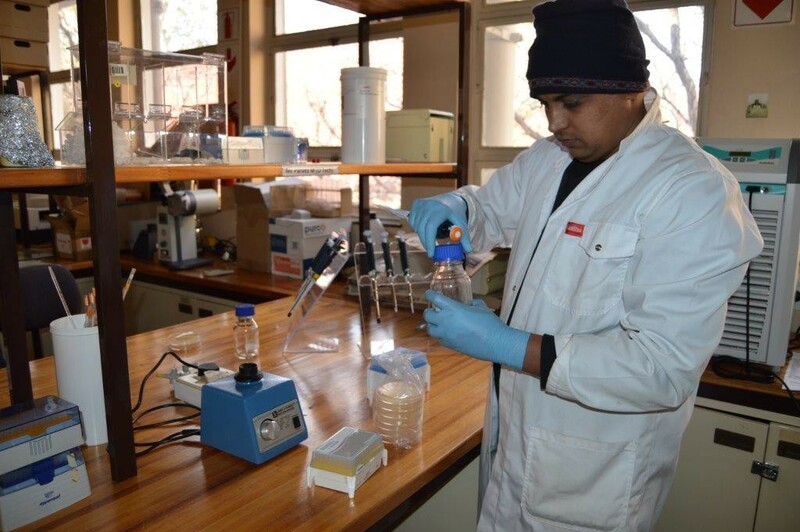 A team of researchers from Unit for Drug Discovery at Central University of Technology, Free State (CUT) has discovered a new drug that has huge potential to help fight aquatic animal infections caused by aquatic parasites. For years, researchers across the world have been trying to understand these microorganisms in order to control the disease and develop novel drugs against these pathogens, and CUT researchers are leading the way in finding solutions that will bring an end to this socio-economic challenge facing aquatic farming. These microorganisms are widely known within the scientific world as oomycetes- fungus-like microorganisms which continue to wreak havoc to aqua farming sector worldwide. They are considered the deadliest of pathogens, causing diminished production of aquatic food. Led by Prof. Samson Sitheni Mashele and Dr Khajamohiddin Syed, the researchers analysed cytochrome P450 monooxygenase proteins in 13 pathogenic oomycete genomes which resulted in the discovery of novel cytochrome P450 monooxygenase proteins that can be used as a drug target against these deadliest of pathogens. 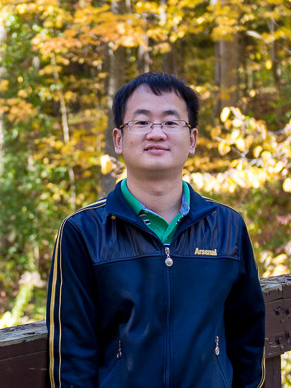 CUT researchers collaborated with highly acclaimed international scientists; namely, Prof. David R Nelson from University of Tennessee, USA, Prof. Jae-Hyuk Yu from University of Wisconsin-Madison, USA and Dr Wanping Chen Huazhong Agricultural University, China. 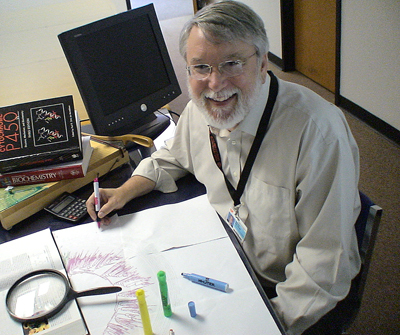 Named Cytochrome P450 monooxygenase protein, it was discovered using bioinformatics techniques such as comparative genomics and proteomics. Currently, CUT researchers are busy with investigating solutions that would sustain the aquatic resources while helping to increase high production levels of aqua farming for commercial purposes, food security and poverty alleviation. Their work highlights the important role which aqua farming plays in promoting healthful living and fighting poverty and hunger. Aqua farming is a big industry that is widespread across the world. It constitutes the farming of water animals such as fish, shrimps, prawns, squid and octopus and considered by United Nations an important sector that provides livelihood to more than 60 million people in Africa and Asia. Consumption of these animals remains a vital source of protein and essential nutrients; especially for developing countries where they constitute almost half of the total value of their traded communities. The results of this study have been accepted for publication in the Nature Publication Group journal, “Scientific Reports”, a prestigious multidisciplinary scientific international journal with an impact factor of 5.1. From left to right: Sitting: Dr Khajamohiddin Syed, Prof. Samson Sitheni Mashele, Dr Malebo Ntsoaki and Mr Mokoena Jack. 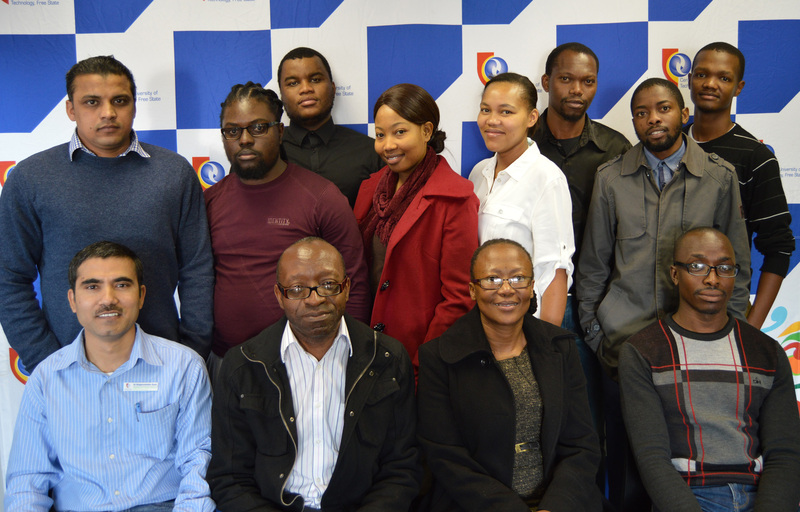 Standing: Mr Mohammad Parvez, Mr Ntsane Trevor Mthakathi, Mr Richie Monyaki, Ms Ipeleng Kopano Rosinah Kgosiemang, Ms Norventia Jafta, Mr Mopeli Marshal Sello, Mr Lehlohonolo Benedict Qhanya and Mr Seiso Caiphus Raselemane. 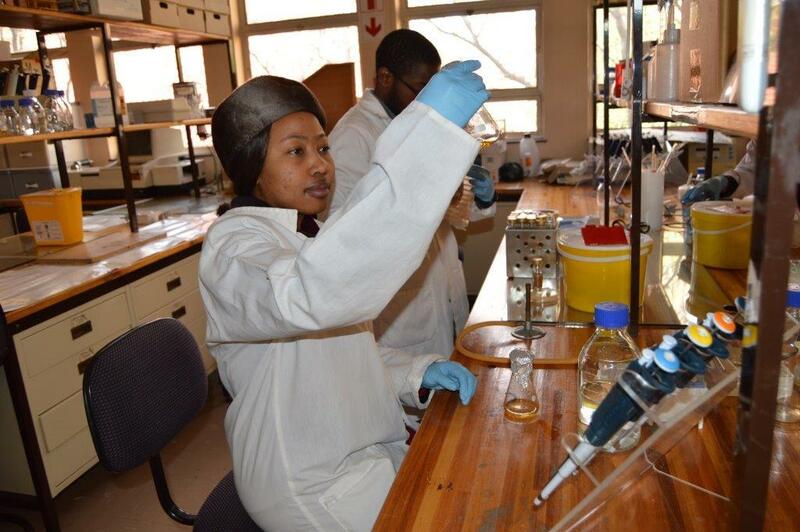 Team members in their state-of-the-are fully equipped laboratory at CUT, Bloemfontein campus diligently researching their new discovery! CUT is a leader in many technology fields ranging from learning programmes in Science, Technology, Engineering and Mathematics (STEM) a broad field in which CUT has about 45% of its enrolments, much higher than many other South African universities. Further, CUT’s research and innovation leadership in many areas, more especially in rapid prototyping and manufacturing is world class. The latter has been honoured by both the Medical Research Council (MRC) as part of its National Medical Device Platform and the National Research Foundation (NRF), with the latter having granted CUT a Chair in this area. Through its social and technological innovations CUT aims to contribute towards the social-economic development in the region as well as in the rest of South Africa and internationally.